Les Mead last year’s Chairman of TRDC was present with a camera and video camera to record the occasion. 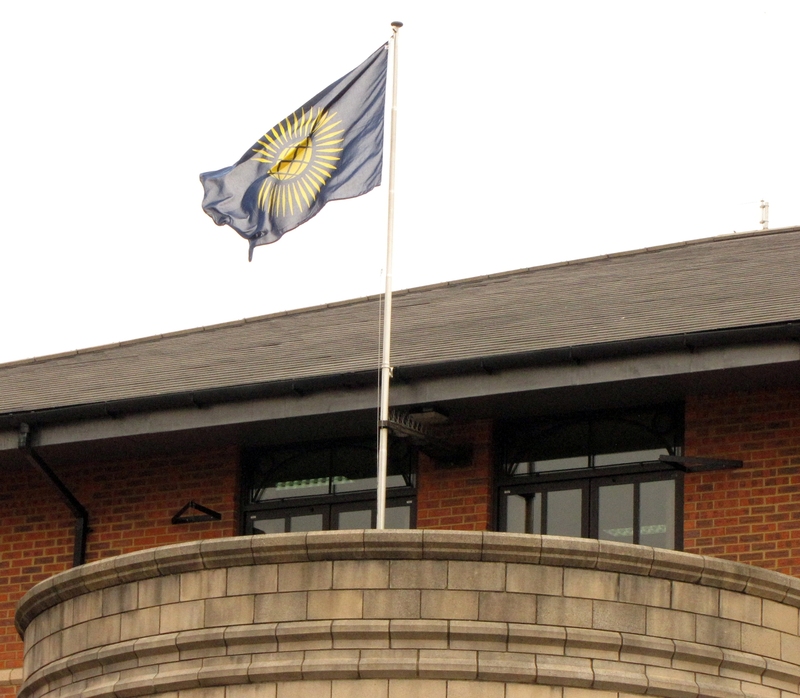 We were one of more than 730 Commonwealth Flags raised in locations throughout the United Kingdom, Channel Islands, Isle of Man, UK Overseas Territories, and Commonwealth countries on Monday 9 March – Commonwealth Day 2015. 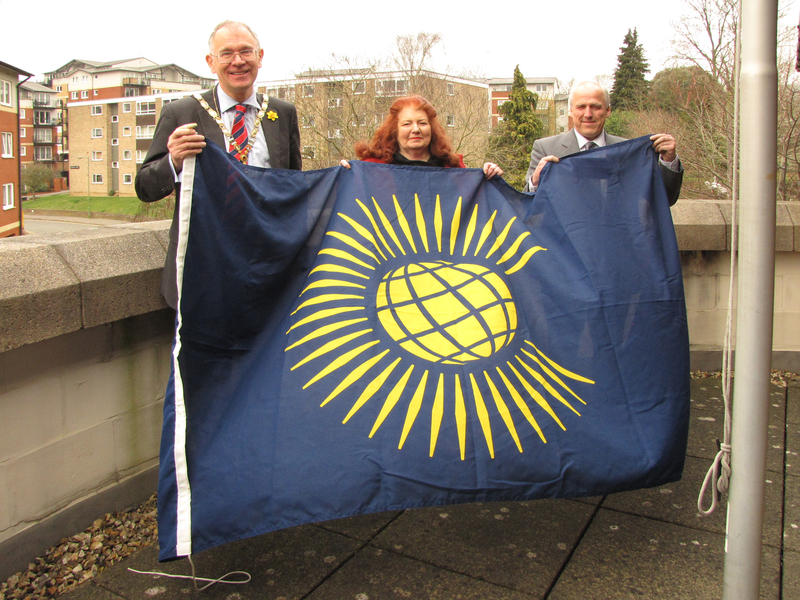 To help celebrate Commonwealth Day, Three Rivers District Council took part and the Chief Executive, Steven Halls, The Leader of the Council, Ann Shaw, and I (in my role as Chairman) gave short speeches before raising the Commonwealth Flag at 10.00hrs. I raised the flag with Councillor Ann Shaw, Leader of the Council, to represent the district. It brought back memories of when Yvonne and I were in Glasgow for Commonwealth games last summer and we had the opportunity to talk to those from other parts of the Commonwealth.